The Board previously acted to elect an independent Chairman to lead the Board and we believe formalizing this structure is the right decision at this time for the Company and its investors, customers, and team members. Efforts to restore the trust of our customers and team members are well underway and will continue until we have fully addressed the issues surrounding retail banking sales practices. While the investigation of these practices and related matters by the independent directors continues in earnest, we believe this action will enhance the Board’s independence and its oversight of the Company’s management, and we appreciate the feedback that we received from our investors on this matter. Wells Fargo Bank’s independent board chair may become permanent if shareholders get their way. 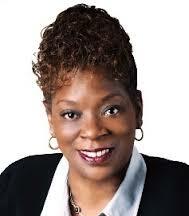 Connecticut State Treasurer Denise L. Nappier, in partnership with three institutional investors with assets under management of $355 billion, has filed a shareholder resolution at Wells Fargo Bank calling for a change in the company’s corporate bylaws to ensure an independent non-executive board chair. said Treasurer Nappier in her capacity as principal fiduciary of the $30 billion CRPTF. In our view shareholders are best served by an independent Board Chair who can provide a balance of power between the CEO and the Board, empowering strong Board leadership. The primary duty of a Board of Directors is to oversee the management of a company on behalf of shareholders. We believe a combined CEO/Chair creates a potential conflict of interest, resulting in excessive management influence on the Board and weaker oversight of management. What I find most troubling, is that Wells Fargo took advantage of individuals at their most vulnerable. Customers had their identities co-opted in order to inflate the number of accounts and workers at the bank lost their jobs as whistleblowers or were fired for what was deemed underperformance. At the end of the day, the company’s shameful conduct was fueled by poor governance that fostered a culture of irresponsibility and deficiencies in risk management – all of which can impact the company’s ability to return shareholder value over the long-term. In September, the Consumer Financial Protection Bureau, the Office of the Comptroller of the Currency and the City and County of Los Angeles announced that Well Fargo Bank would pay a penalty of $185 million plus $5 million in restitution to customers for opening as many as two million unauthorized deposit and credit card accounts. Board Member Stephen Sanger was named Chair in October; previously, the position was also held by the former Chief Executive Officer, John Stumpf. Splitting the roles of Board Chair and CEO is a welcome first step, but must be followed by definitive action locking in credible, responsive board leadership that will ensure effective oversight and proper incentives — and penalties – for guiding management. According to the Corporate Research Project, Wells Fargo Bank has paid close to $10 billion in fines and settlements since November of 2009, including a recent $1.2 billion settlement in April, 2016 where the bank admitted that it certified ineligible loans for federal mortgage insurance. In commenting about CRPTF’s shareholder resolution with Wells Fargo Bank, Treasurer Nappier said she is “acting as a fiduciary seeking to mitigate risk and protect the value of the state’s pension fund holdings.” Beyond that she cited her institutional customer interest in the company. 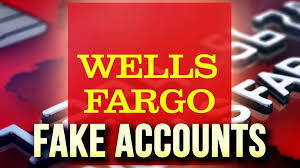 I have a responsibility to ensure that Wells Fargo’s role is one of providing reliable and trustworthy financial services, not only on behalf of our state government, but also in support of Connecticut’s retail customers – for whom more than 11,000 accounts may have been fraudulently opened without their knowledge or permission and must be made whole. Besides filing the shareholder resolution, Treasurer Nappier has written to Chairman Sanger seeking a meeting to discuss additional steps the board will take to more effectively oversee risk management and otherwise strengthen shareholder accountability and consumer confidence in the company’s ability to act as a responsible corporate citizen well positioned to steward its sustainable financial health. Ultimately it is about making certain that all key players in our financial system — from regulators to member of Congress — do everything they can to fix any related systemic issues within the banking community as a whole before they require such after-the-fact actions. Connecticut’s relationship with Wells Fargo Bank is multi-faceted, including investments, bond underwriting, brokerage, and cash management services. On September 23, Treasurer Nappier modified the assignment of lead banker for a sale of general obligation bonds by adding Morgan Stanley as co-bookrunner alongside Wells Fargo Bank. In addition, the Treasury’s Short-Term Investment Fund suspended purchasing securities through Wells Fargo’s brokerage subsidiary, through which it purchased $4.5 billion of securities in Fiscal Year 2016. As of November 25, 2016, the CRPTF held Wells Fargo stock and fixed income instruments valued at $125.1 million. While that sounds like a lot of money, it represents about 0.05% of the value of Wells Fargo, whereas Berkshire Hathaway, Inc. owns close to 10%. Maybe Nappier should be checking in with Warren Buffett. Now that would be a very interesting meeting. A 2012 report by GMI Ratings, The Costs of a Combined Chair/CEO, found companies with an independent chair provide investors with five-year shareholder returns nearly 28 percent higher than those headed by a party of one. The study also found corporations with combined CEO and chair roles are 86 percent more likely to register as “Aggressive” in their Accounting and Governance Risk (AGR®) model. 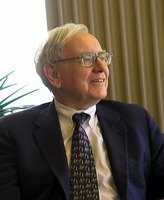 Would Warren Buffett be swayed by the need to reduce conflicts of interests and research pointing to a likely improvement in earnings? See also Exclusive: Four large Wells Fargo shareholders want more action from board and Wells Fargo Formally Separates Chairman, CEO Roles.